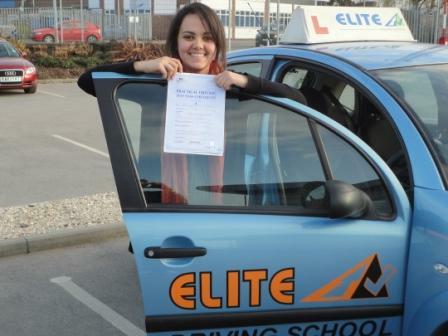 Jamey Craven from Holderness rd Hull, passed her test this morning 10/02/11 on her first attempt and with just 1 minor fault. 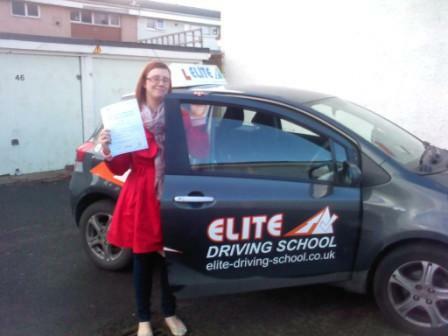 Jamey said “Learning to drive with Dennis my Elite Instructor was the easy bit! trying to get some money out of my Dad to buy a car will be the hard bit. 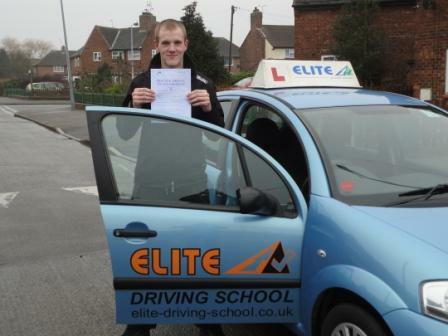 Thank you to my instructor Pete Wood and Elite Driving School for helping me pass my driving test first time. Pete took me from been a complete novice, to a confident, skilled driver, in just two months of lessons. Every lesson was well planned and thought out and taught me something new, Pete’s teaching… was brilliant, he was patient and encouraging, and his friendly persona helps relax you in the car. The diagrams and pictures are a brilliant learning tool, which aided my understanding of different junctions and manouveres. 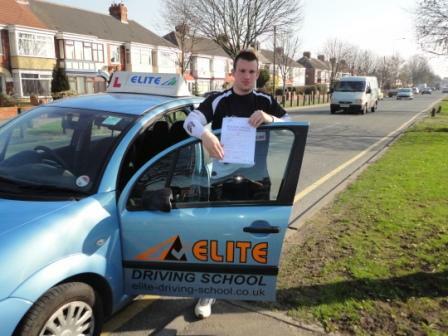 I would recommend Pete Wood and Elite Driving School to anyone looking to learn to drive. Many thanks again for your help over the past couple of months. 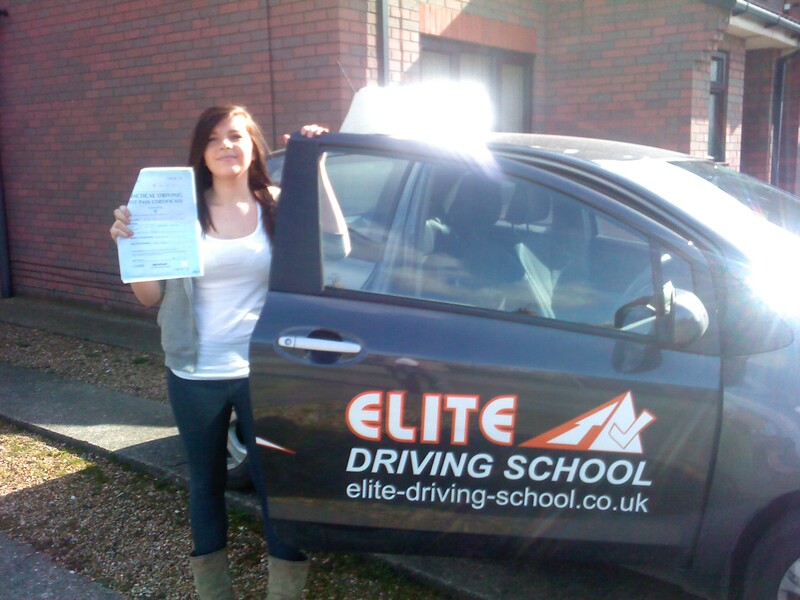 Congratulations to Ekram Aidaros who passed her driving test first time on 4/3/2011. Ekrams instructor Pete Wood said she is a class one student who listened closely to everything that I said & was a please to teach. Pete added I hope you get that new car your parents promissed you for passing first time. Learning how to drive with Elite Driving School was simply a perfect pleasure. I heard a lot of stories about instructors who were strict, mean or too serious. I got in contact with Elite Driving School via the phone number on the website that I randomly found on Google, the man I spoke to was friendly and set everything up within minutes. On my first lesson, I met Pete Wood, my driving instructor, and I could not ask for a better instructor! He was patient, friendly and made everything so easy to understand. It was like learning how to drive with a friend rather than an instructor. When I made mistakes he would explain what was wrong without getting impatient, even if it was a repeated mistake; if I had something on mind I could rant and he listened, he made sure to always work around my schedule and could, honestly, not be any better. My experience was the best imaginable and I am hard to please, so take it seriously when I say the whole learning journey was fantastically top rate! I passed first time, with only five minors and I know the only reason this happened was thanks to Pete. I knew nothing about cars or driving and now I am getting a car and probably working at a car company it was such a pleasant experience! If you are reading this then trust me, book your lesson now and you will not regret it nor will your find anyone as good as him or Elite Driving School! Having just passed my driving test, I feel fortunate that I chose Mr Pete Wood from Elite driving school for my instuctor. Congratulations Becky Collins of Dane park Rd, passed her test today 14/02/11 on her 1st attempt after completing a 25hr intensive course with Elite driving instructor Dennis.